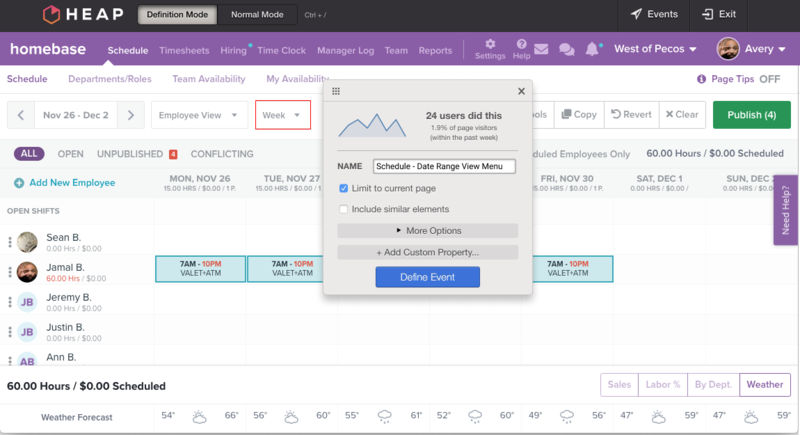 The hypothesis for increasing engagement of first time users at Day 14 activation is based on a premise that a simplified employee schedule building process will reduce friction for adding 3 employees and building a week 1 schedule to repeat by day 14. 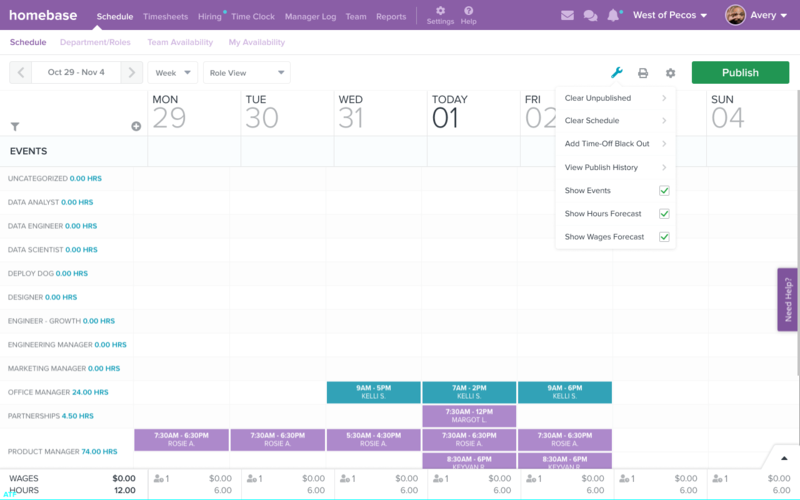 The second hypothesis is that once a schedule user is working with scheduling, presenting the premium features in the context of building a weekly schedule workflow, will increase conversion to a paid subscription, from the current settings page located in the global navigation and sub-layered under groups by feature. 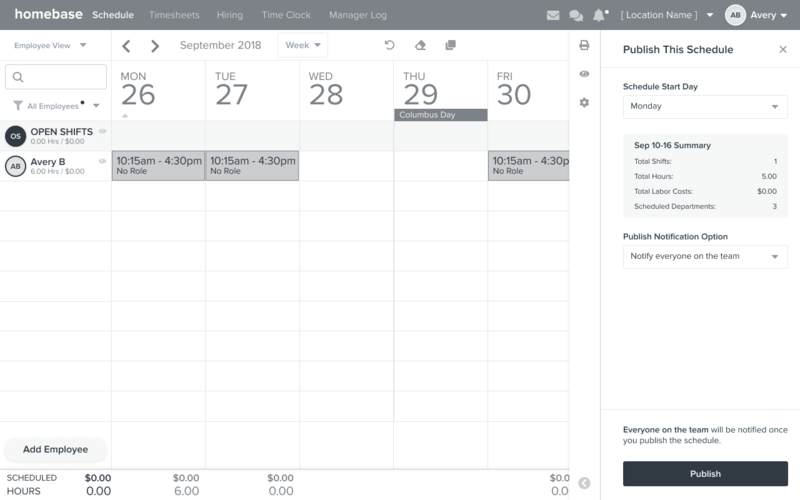 This project is currently in process, with internal user testing with customer service agents providing insights and feedback on an initial phase of information architecture simplification. 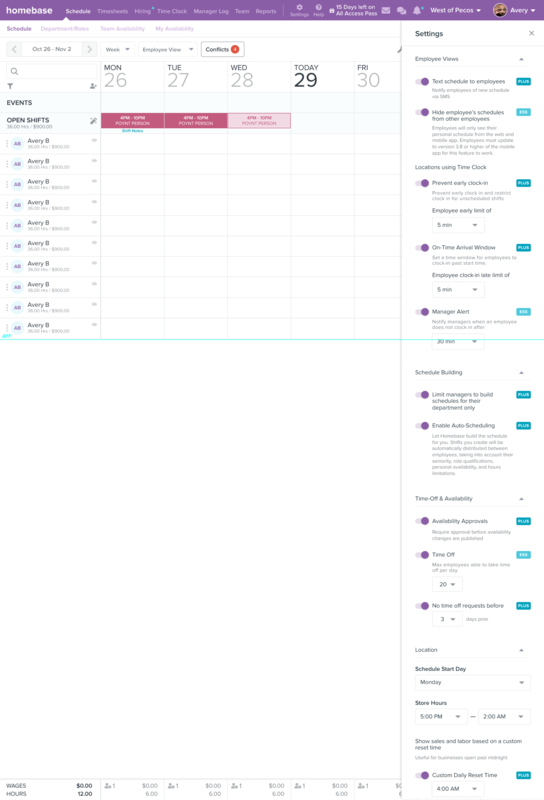 • The perception of visual complexity was significantly reduced when initially landing on page. 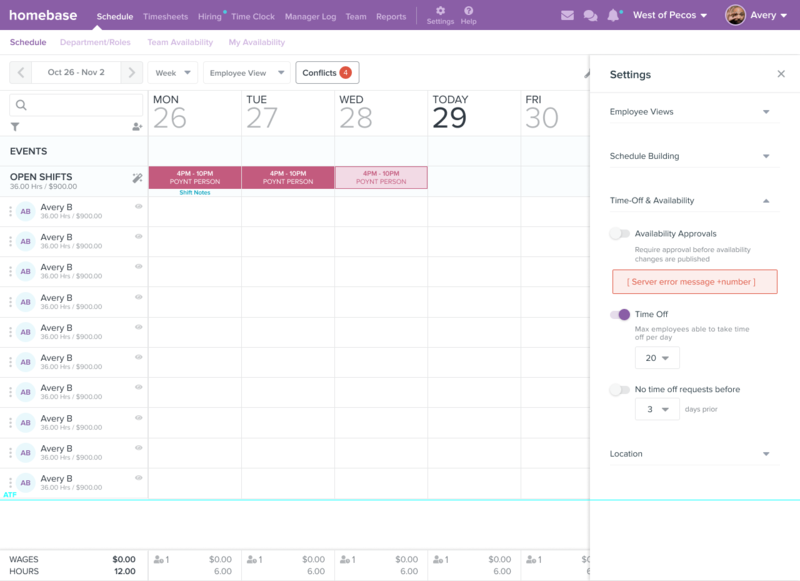 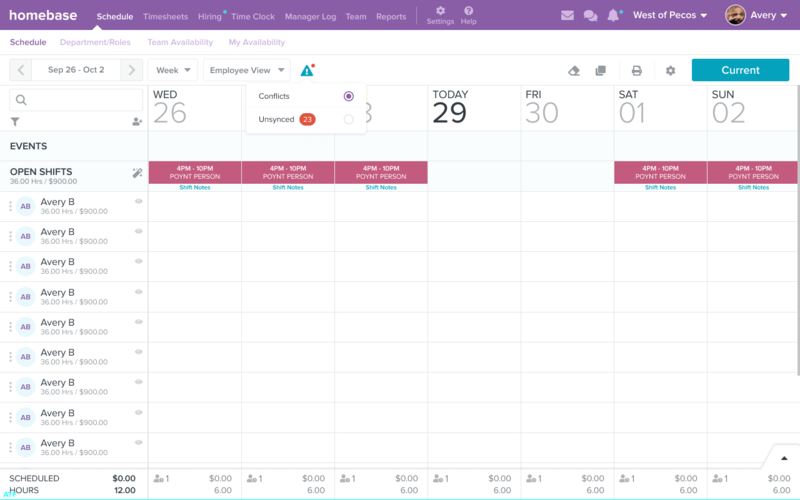 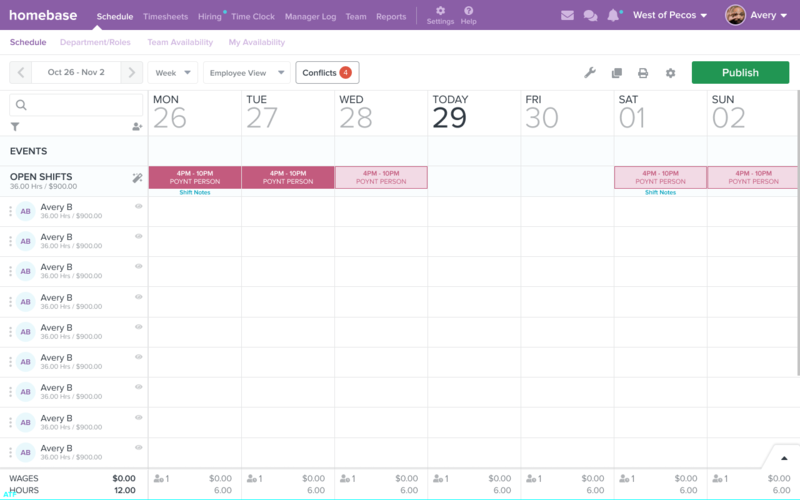 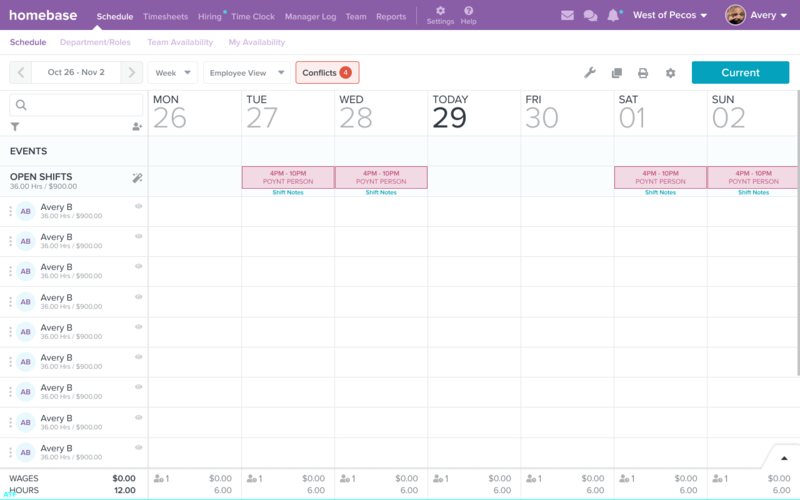 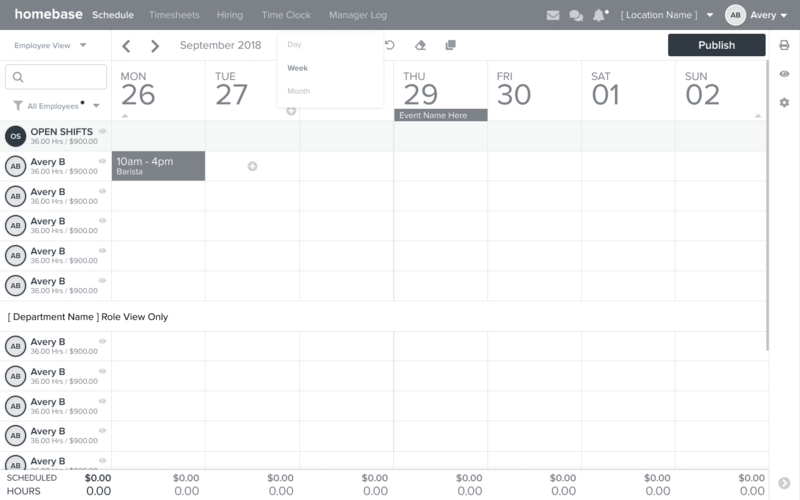 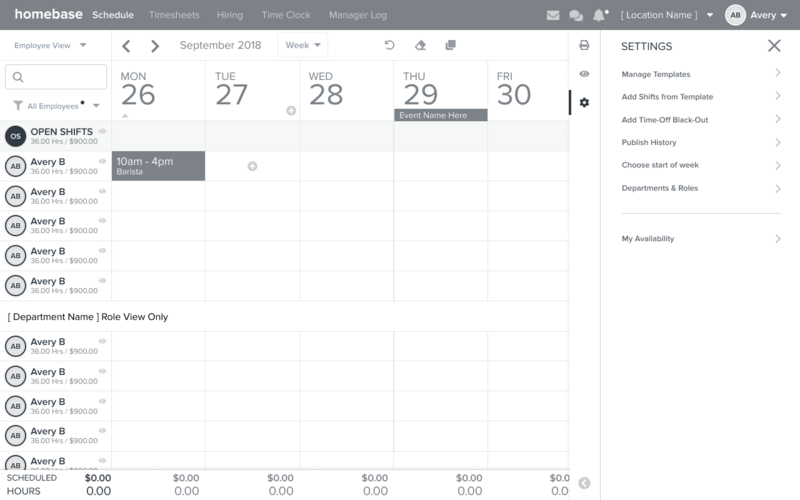 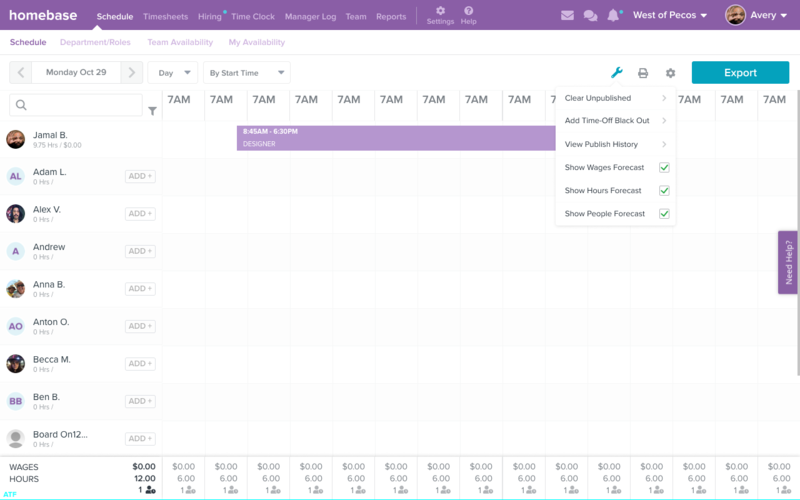 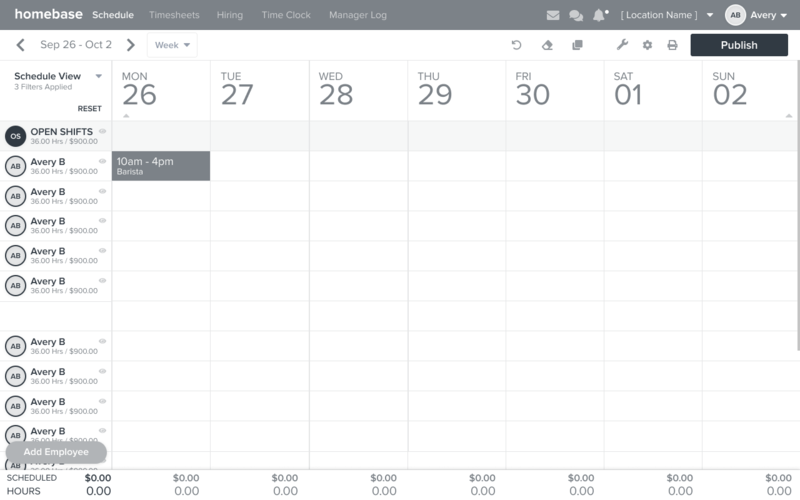 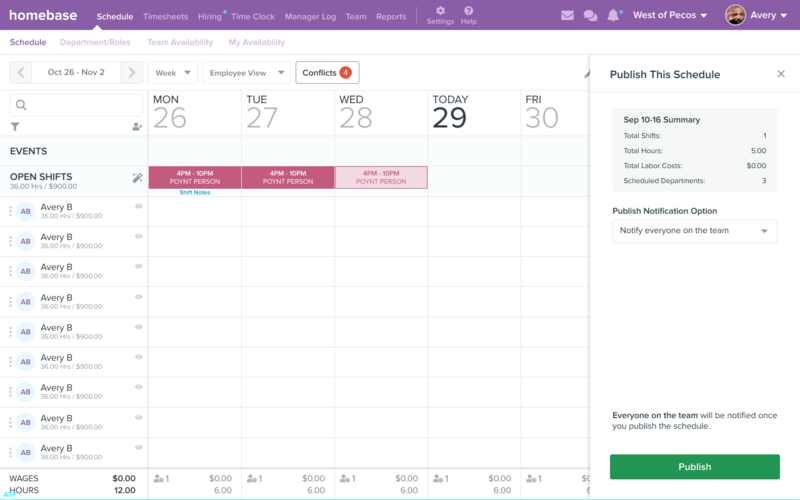 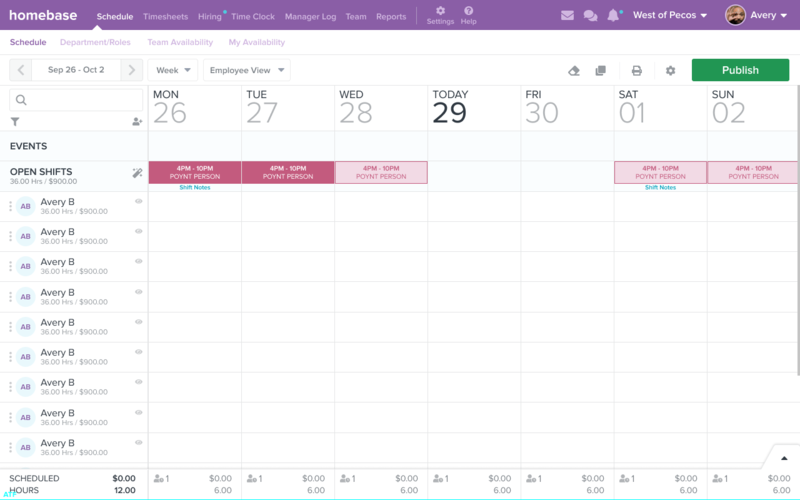 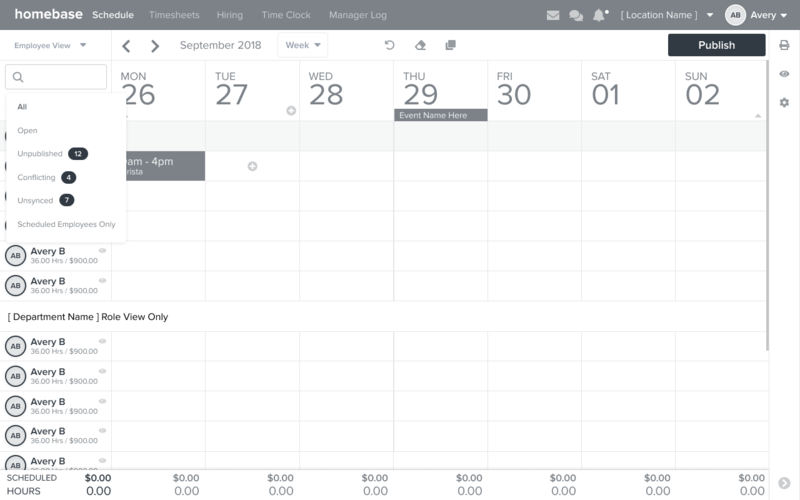 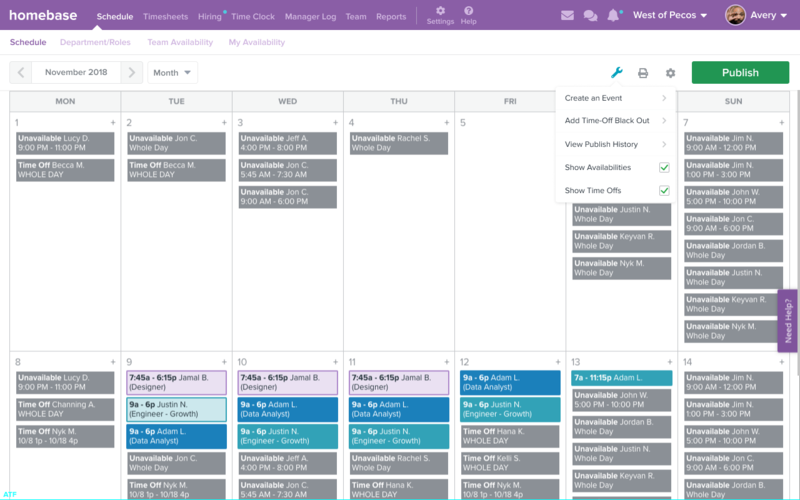 • Initial view feels more like a calendar view and less like a spreadsheet. 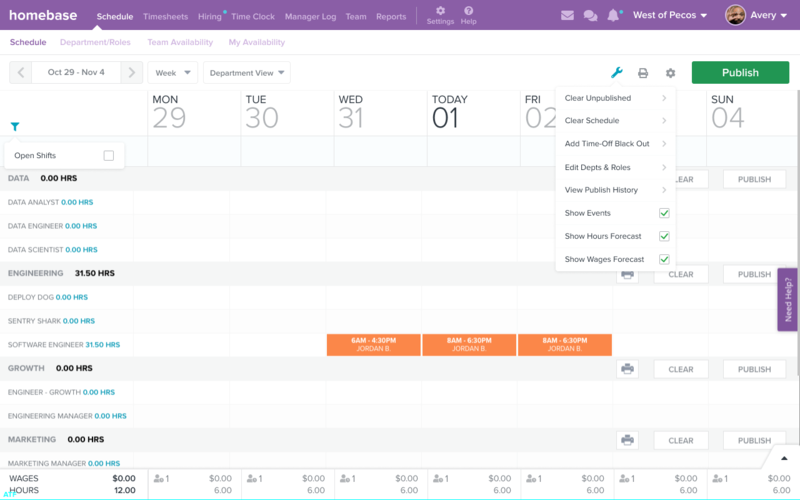 • Consolidated menus were relatively easy to find and grouped similar functionality together. 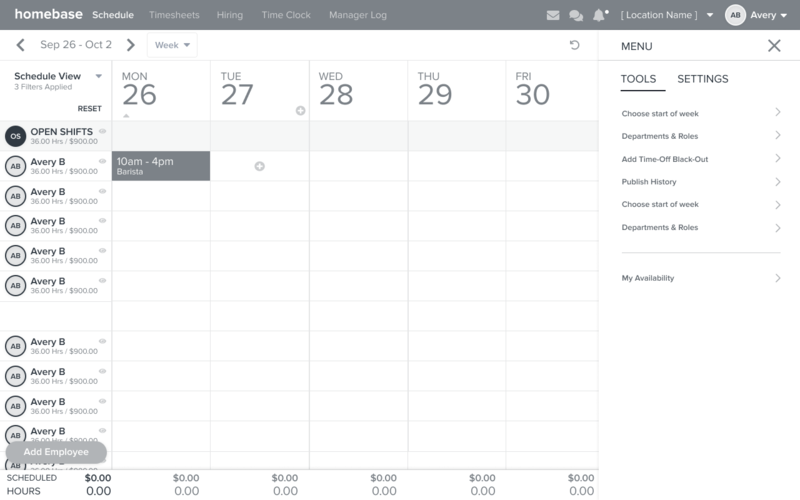 • Some of the menu iconography was confusing for certain groups of menu items/features. 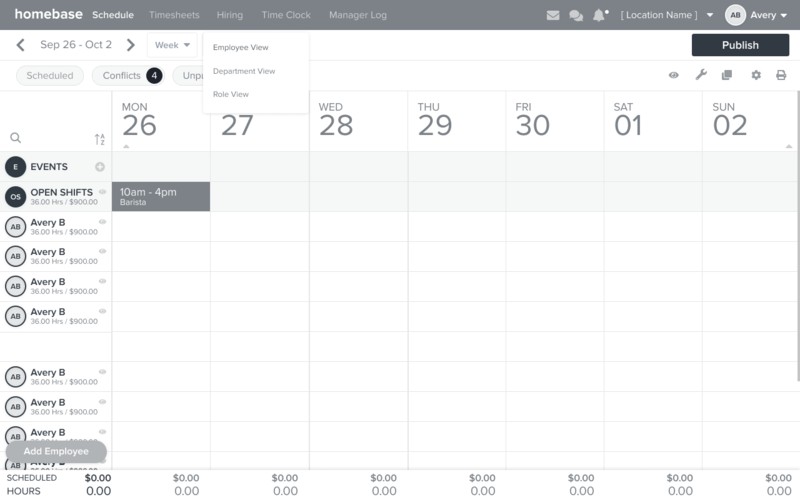 Next Step is user testing with with UI Prototypes. 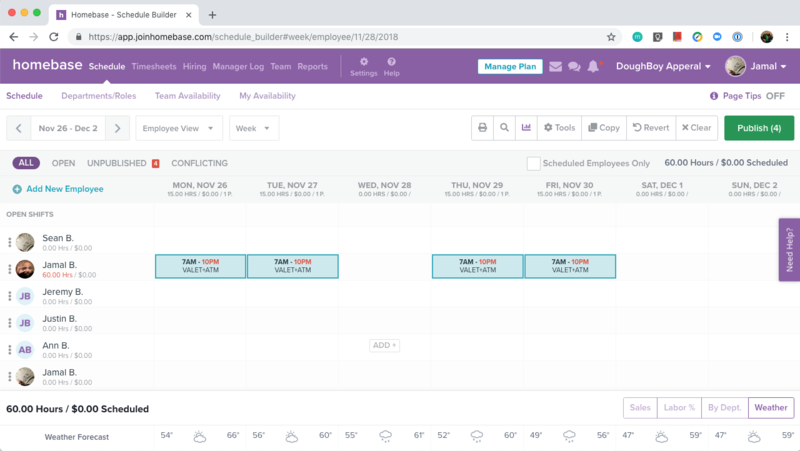 The first step was to evaluate the use cases and states associated with the features and state of the experience for first time users (FTU) after an on-boarding walk-thru which they created a shift, and added 3 employees to the current week’s schedule. 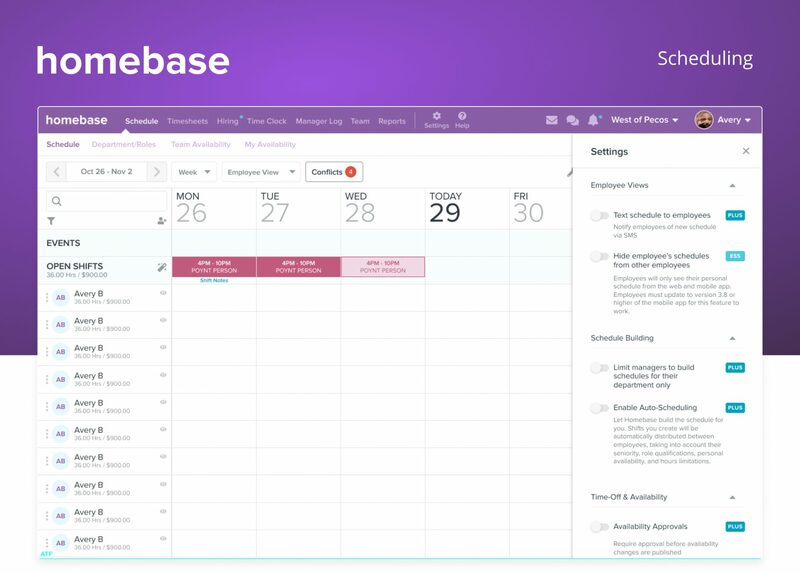 The next use case was to review a daily active user (DAU) flow and surface the premium features currently exposed with an all access pass to premium features. Once these use case states and the delta between these states of usability were assessed, an analytical review using Heap Metrics to establish usage of features based on a ratio of Page Views to each navigation element to provide signal on feature engagement and potential groupings of menu items. 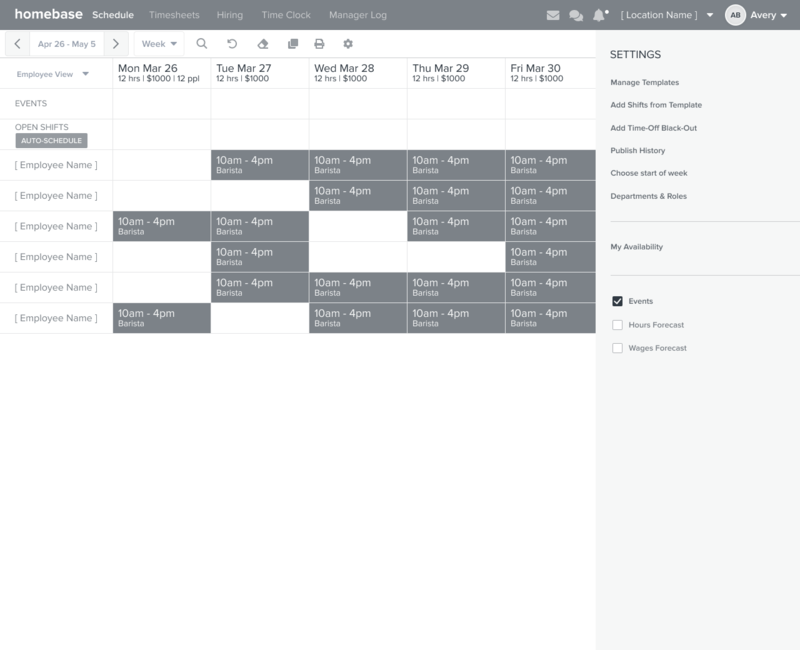 Exploring with different navigation and menu options or groupings to provide a simplified and intuitive update to the existing UI.